In the first two games of the @EuroLeague Playoffs 2018 Game 3, Žalgiris won 80 – 60 against Olympiacos in Žalgirio Arena and now is one step away from booking the spot at the Final 4 in Belgrade, while Baskonia was better than Fenerbahçe with a score of 88 – 83. The team from Lithuania took control of its Playoff against the team from Greece and allowed themselves to dream about a trip to Belgrade. 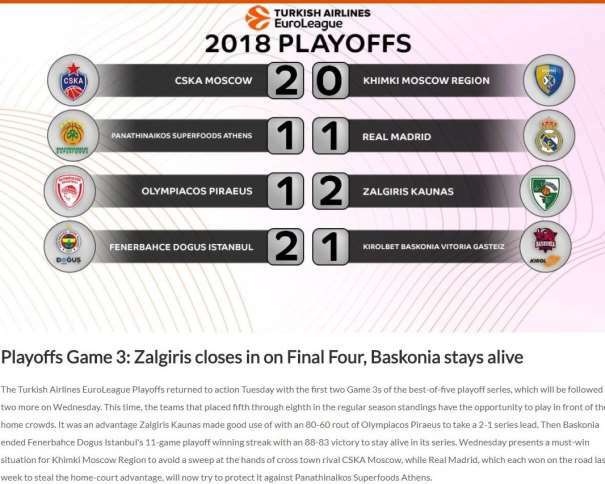 It wasn’t a surprise anymore: Žalgiris showed that they are at the @EuroLeague Playoffs 2018 for a reason. The home team was better during all 40 minutes. They won in every quarter (21 – 19, 26 – 17, 20 – 14 and 13 – 10), but maybe the 2 points shooting percentage was the main reason why Žalgiris Kaunas won. They had 33 shots and scored 24 (72.7%) over guests 45.2% (14 of 31). Also, Šarūnas Jasikevičius’s players assisted more than their opponents. Olympiacos had 12 assists during the whole game, while the home team had 23. Four players had double-digit score in Žalgiris: Brandon Davies was the best one with 18 points; Paulius Jankunas added 13; Kevin Pangos, 12; and Axel Toupane, 10. The Serbian guard Vasilije Micić finished the game with 8 points and 6 assists. Vassilis Spanoulis was, again, the best scorer in Olympiacos. The Greek veteran scored 14 points, but missed all 6 three point shot attempts. The only other with double-digit points was Brian Roberts who added 11. 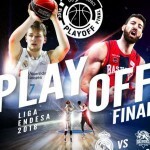 In Vitoria, Baskonia managed to stay in the Playoffs by beating Fenerbahçe in the third game. 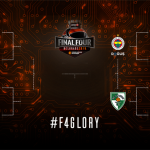 Now, the team from Istanbul, in two days, will have another shot in providing a spot at the Final 4, or they will move the Playoff to Turkey for the fifth game. 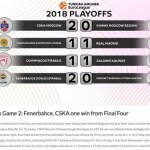 After the first half, the home team was leading by 9 (47 – 38) and in the third quarter Fener played better and before the final 10 minutes they had one point less than Baskonia. But Baskonia used home advantage and celebrated in front of their fans. 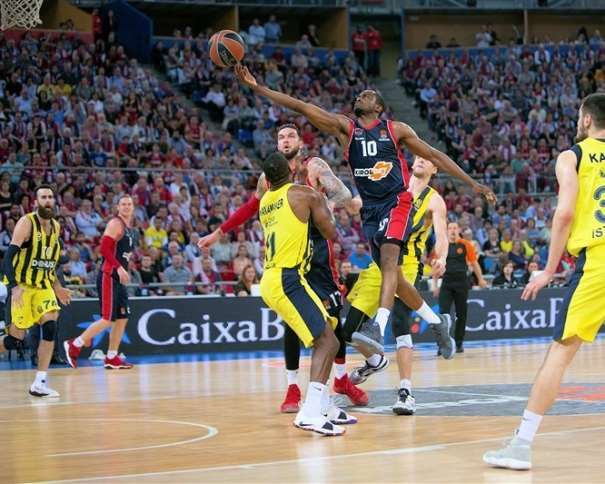 Rodrigue Beaubois score 21 points for Baskonia, while two players added 12 points each one: Johannes Voigtmann and Vincent Poirier. 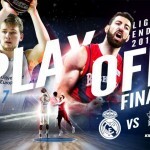 Their teammate Marcelinho Huertas finished the match with 11 points and 7 assists. Tornike Shengelia had 10 points and same amounts of rebounds, while Matt Janning also finished the game with 10 points. In the Turkish team, Jan Vesely was the best scorer with 17 points (and 10 rebounds), while amazing Kostas Sloukas finished the game with 14. The Greek guard added 11 assists to his statistic. Luigi Datome scored 13, while the Serbian player Marko Gudurić had 12.